November is National Family Caregivers Month, an occasion to recognize the 3.4 million Texans helping to care for aging parents, spouses and other loved ones so they can remain at home – as opposed to costly institutions. If not for them, the cost of health care would, undoubtedly, be far greater. Indeed, research has found that family caregivers provide unpaid care that’s estimated at a staggering $34 billion a year in this state alone. But it’s not only the financial value of the care that’s provided. It’s the breadth and enormity of caregivers’ daily tasks that deserve our heartfelt recognition. To honor family caregivers, AARP has launched a new initiative to spotlight their stories. It’s called “I Heart Caregivers,” and it can be found at aarp.org/iheartcaregivers. On the site, you’ll find touching stories like the one I saw from a Texas woman named Aletha. Family caregivers are sometimes on duty 24 hours a day, seven days a week – and often they can’t even take a break. But they wouldn’t have it any other way. And yet, their tasks are increasingly become more complex. A 2012 AARP study titled “Home Alone: Family Caregivers Providing Complex Chronic Care” concluded that American family caregivers are increasingly being asked to provide medical tasks for loved ones. And that’s often just a sliver of their routines. Family caregivers are the ones who step up and provide the bulk of assistance like help with bathing and dressing, meal preparation, managing finances, grocery shopping and more. The study, along with a previous report, concluded that caregivers provided the equivalent of $450 billion in unpaid care in 2009, more than the cost of Medicaid that year. The reports also showed that, once discharged, 69 percent of care recipients didn’t receive any follow-up healthcare visits. This all-too-common scenario makes me believe that it’s time to get serious in Texas about the revolving door of costly hospital readmissions. Many hospitals, including some in Texas, are facing steep fines in the upcoming year for high readmission rates, according to Kaiser Health News. The penalties, administered by the federal government, are intended to steer hospitals toward improving post-release patient care and to take actions to ensure that patients don’t have to be readmitted. 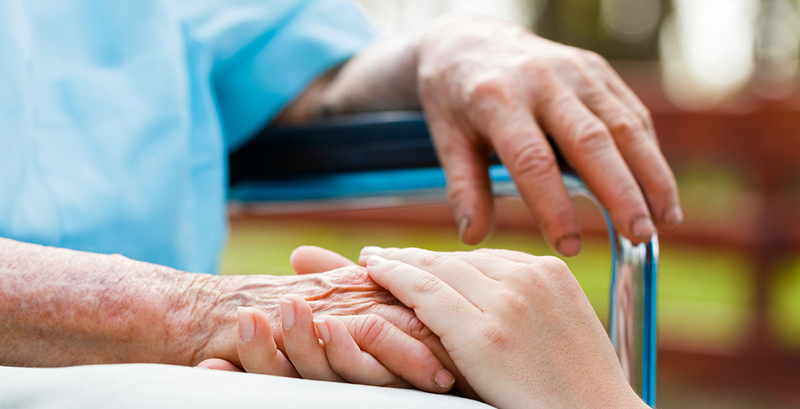 Improving patient care by providing caregivers with the support and information they need to offer in-home care is what many hospitals are already striving to achieve. But some states have already enshrined these efforts by passing legislation that aids family caregivers who look after loved ones after hospital stays. AARP is committed to addressing the issue during the upcoming 2015 Texas legislative session. To learn more about caregivers in Texas, and to share your story, please visit aarp.org/iheartcaregivers.